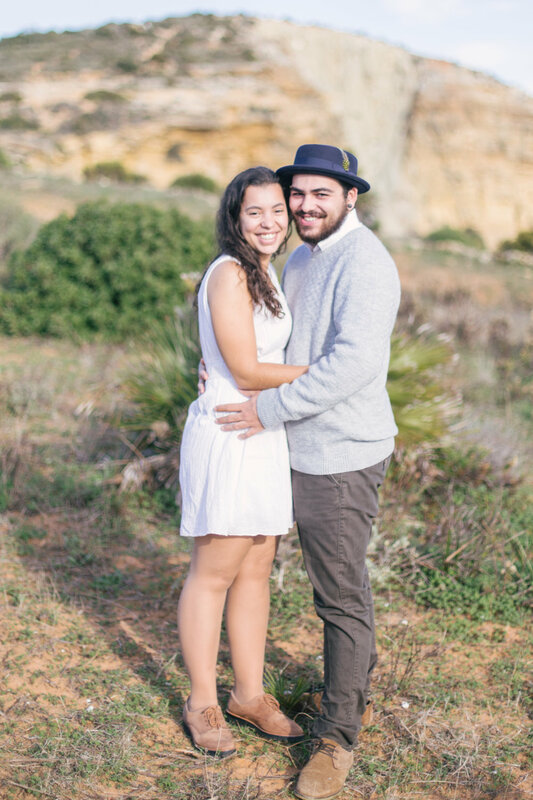 A warm November afternoon, the green cliffsides of Burgau, and an adorable white pitbull made the perfect recipe for Sandra & Bernardo's engagement session. 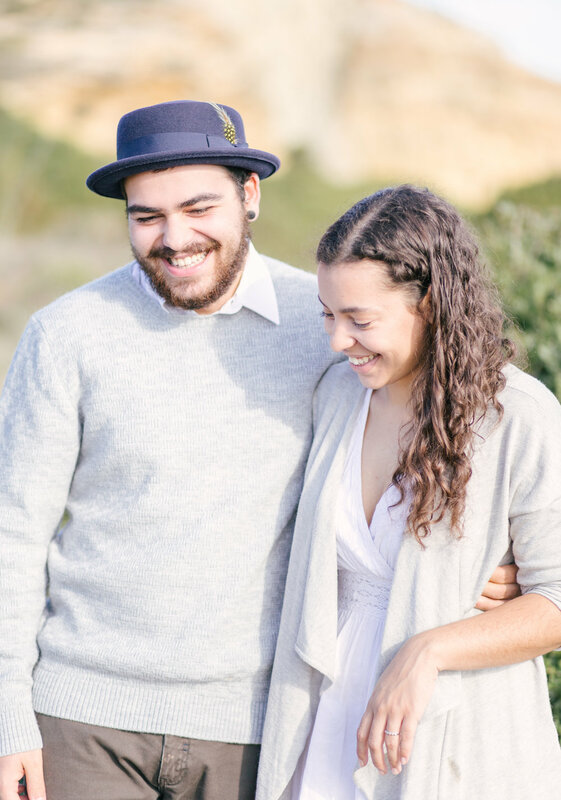 They decided to bring along the other member of their family, their dog Xiva, for their engagement shoot. They dressed her in a collar of Olive branches and fall berries and she couldn't wait to show off her new digs. At times, it seemed as though Sandra and Bernardo forgot I was there while they simply played and laughed together. 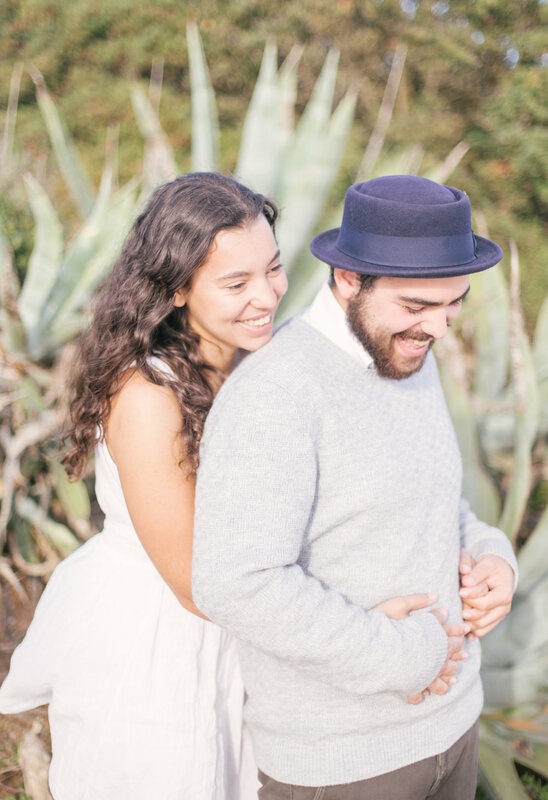 I am so excited about their engagement and their big day next Winter here in Portugal!